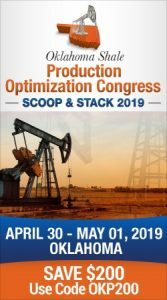 The Oklahoma Corporation Commission approved a plan by the state’s largest electric utility to spend about $500 million to upgrade its coal-fired power plant in northern Oklahoma. The three-member regulatory panel voted unanimously on Thursday that the plan by Oklahoma Gas & Electric to install dry scrubbers at its Sooner Power Plant near Red Rock was “reasonable” to meet federal requirements on air pollution while dealing with tougher emission standards. Commissioner Dana Murphy didn’t sign the order but said she concurred with the result. In her statement, Murphy said the scrubber plan was the direct result of a “questionable federal mandate” on regional haze. She said the Sooner scrubbers will promote fuel diversity. Wind and solar are an important part of the mix but as intermittent sources can’t provide consistent electricity supply, she said. OG&E spokesman Randy Swanson said the utility was pleased commissioners saw the value in fuel diversity. 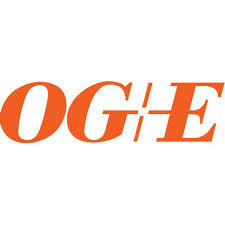 OG&E had already invested around $95 million to install dry scrubbers on both coal-fired generating units at the facility before the January 2019 compliance deadline with the Environmental Protection Agency’s regional haze regulations. OG&E’s application doesn’t include a request to recover the estimated $500 million from its customers. The final order did not specifically address the upgrade costs and how much consumers will have to pay, which will be determined by the commission in a future rate case once the scrubber project is put in service by fall 2018. Despite the Public Utility Division expert’s recommendation to include certain consumer protection safeguards, the Commission ultimately decided to grant OG&E’s third request for approval of the plan. Such measures would have protected the utility’s customers from future costs of the coal plant if it failed to run or if new environmental rules affected the plant. While Attorney General Scott Pruitt has said the request is reasonable and should be approved, some consumer groups opposed the proposal. Ratepayers are concerned that they will carry the burden of this multi-million dollar investment which will likely come on top of a proposed rate increase OG&E is arguing before the Corporation Commission in May.